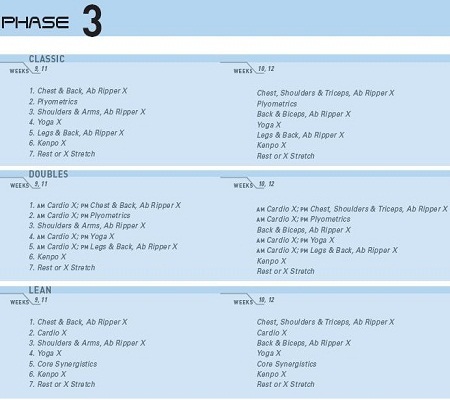 P90X 90 Day Results – Complete 3-Phase Review! A number of people take P90X workout to get instant image modification with the loss of weight and building of new muscles. 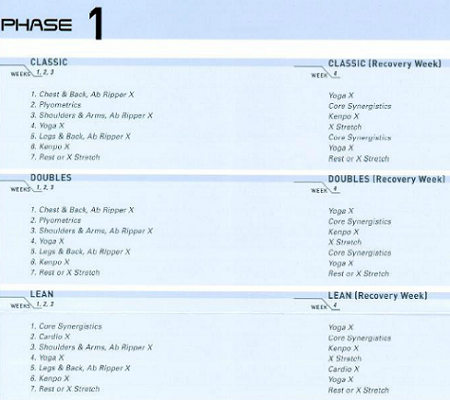 Each phase in the program is designed to give real results. The secret is to take time and hard work to get the best P90X results. If you want to get permanent results with the P90X workout program, then you need to make a complete lifestyle change by altering the nutrition plan, working out on regular basis, and paying attention to the scale. Get P90X Challenge Pack for advanced fitness and better health results. P90X Review and Results – What to expect in 90 Days? From the day one, P90X workout will make you break the sweat. The initial phase is about “adjustment”, where you will work out with a relatively comfortable schedule to get your body used to of the routines. The workout schedule will work your way through the muscle soreness and mend your system for advanced functioning. With the P90X Challenge Pack your body will grow stronger with the added nutritional modifications from Shakeology and P90X supplements. Just stay on track with the fitness and dietary routines for better muscle development. In terms of P90X results in this phase, you are not likely to see drastic changes in the shape and build but internally you will be getting greater metabolic rate to get your ready for the second phase. This phase is about kicking your workouts to a higher gear. You are going to start hard and strong to get noticeable results. The phase is about making you lose the fat in the extreme areas (Forearms, calves, upper back, shoulders). If you are ready to follow the phase two religiously with the nutrition plan, most of the fat will start to lean out. Plus, the learner sections of your body will start to show quick muscle definition. 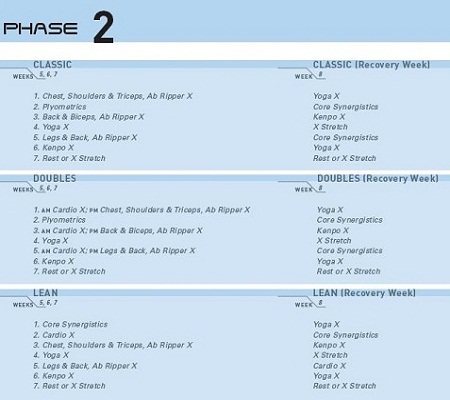 The final phase is about completing the P90X results. Get ready to relish assault on your fat deposits that have been covering the muscles. The routine is designed to make your metabolism reach the higher levels and make you get in the best shape of life. To augment the fitness results, phase three is the best time where you can slip in some extra workout and fitness routines such as brisk walk, playing ball games, running, hiking, etc, to make your body function even better. Final P90X Review – What Do You End Up With? By the end of P90X workout, and getting proper nutrition from Shakeology shake on the way, you get 100% results – guaranteed. You will have higher metabolic rate that will burn fat even in the longer run. Plus the muscle gains and the absolutely ripped body will be hard to ignore!